The Horror Attraction - one of the creations of the popular map series, inspired by the «Five Nights at Freddy's». If you've played this game, then surely you remember the familiar dark corners and corridors, because this map - an exact copy of part 3! 2. The map can only be run on the new version of MCPE 0.13.0, because there used Redstone! 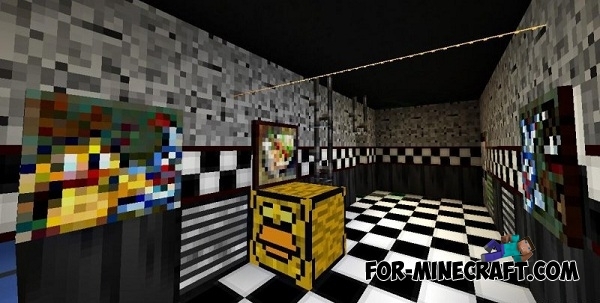 where is the map download please make i so you can download it please ?? ?